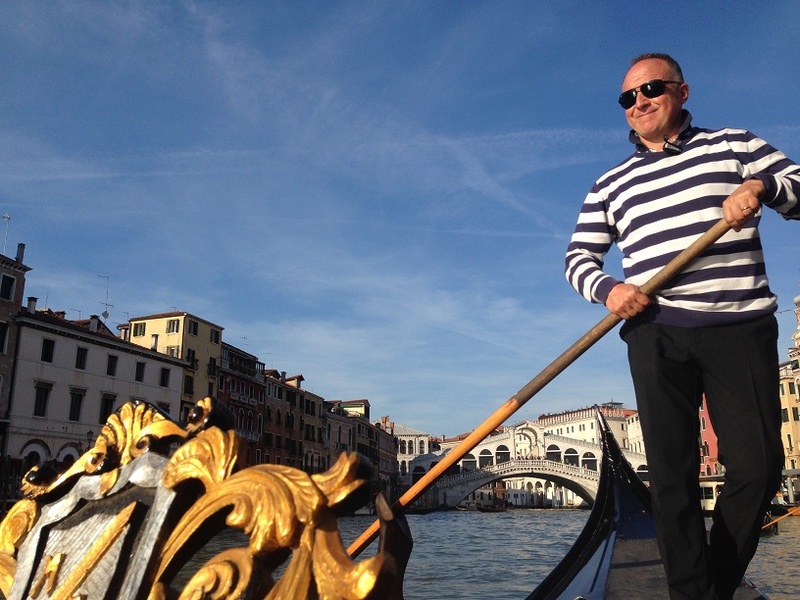 I’d been to Venice a couple of times before but I’d never ridden a gondola. Because, you know, it’s so tourist and uncool. Just ride a vaporetto, like a local, and be done with it. I’m now at the age, however, that I don’t care that I’m not cool. And I embrace being a tourist. Those “Be a traveler, not a tourist” distinctions annoy me. Puleeeze. It’s semantics. Your experience is your experience, regardless of what you label yourself. So Patricia and I took a ride on a gondola. It was one of the extras arranged by the tour company and cost 39 euros for 30 minutes. It’s not true that gondoliers sing. Our group had three gondolas, however, and the one in the middle held a singer — a musician hired for the ride. For me, the musician was superfluous. 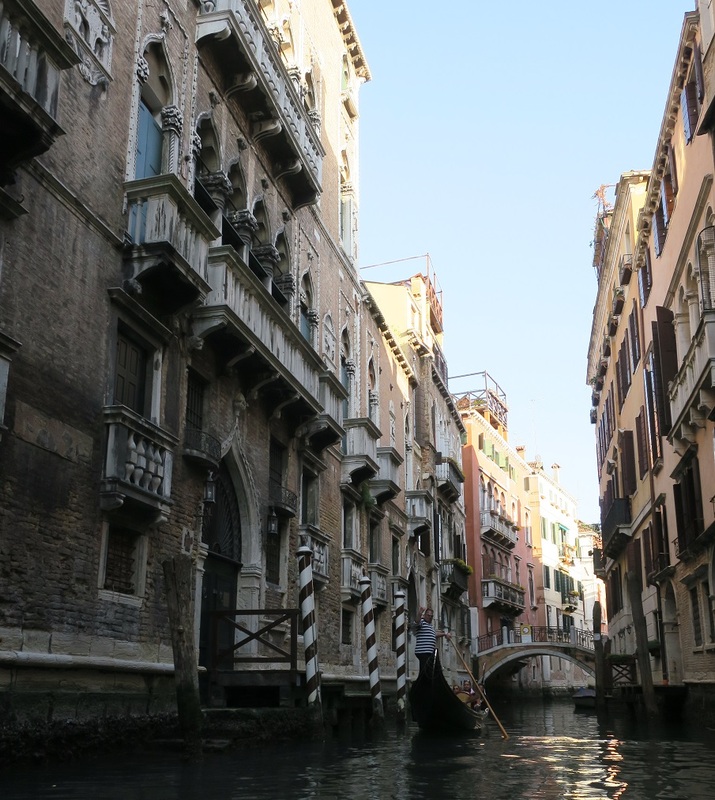 Venice was the star of the show and I didn’t need background muzak to enjoy it any more. 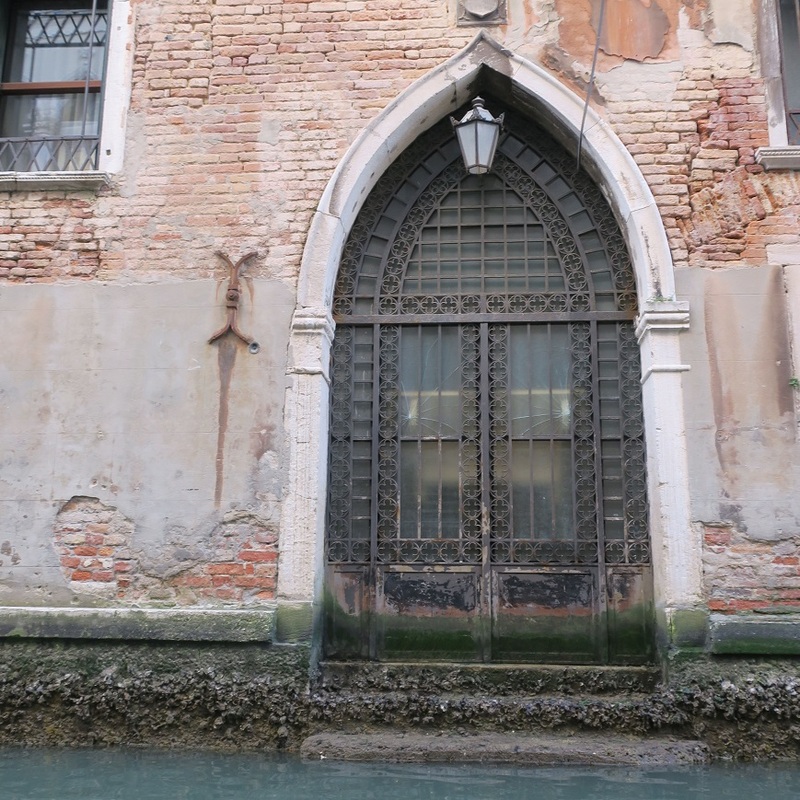 Documentation of a gondola first appeared in 1094, when the Doge — the elected (by city leaders) head of state — of Venice issued a decree using the word “gondulam.” He was talking about a water transportation vessel, but no one knows whether it was the kind of vessel with which we’re familiar. It wasn’t until the 17th century that paintings showed a passenger boat that resembled the gondola as we know it. In the early days, they were transportation for the poor, but once horses were banned in Venice (because they were thought to be filthy and smelly) in the 14th century, the upper classes began using them too. 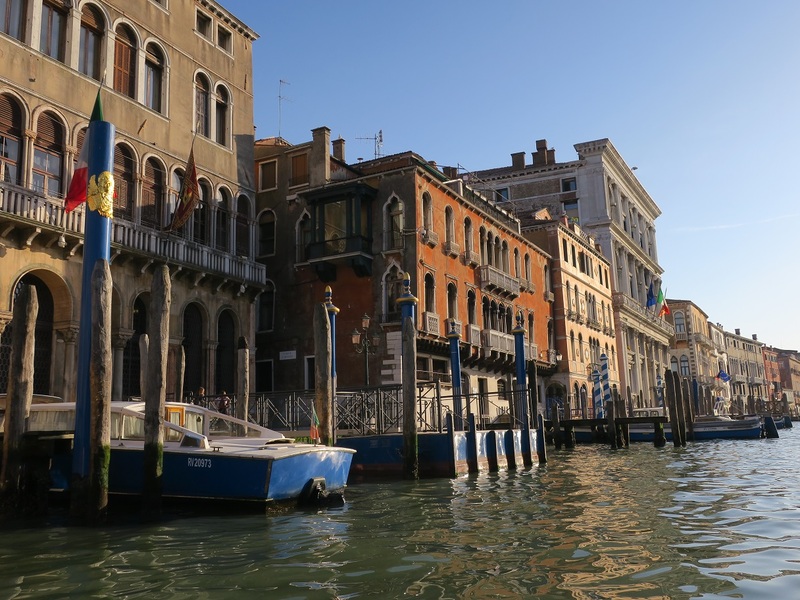 The last local known to use one as a mode of everyday transportation was Peggy Guggenheim, the art collector and all-around rich person, who lived in Venice in the years immediately post WW II. Today, gondolas are strictly tourist affairs. The gondoliers are members of a guild, by whom they are strictly regulated, and there are about 400 of them. In the olden days, their licenses were passed down from father to son. Today, there’s a whole training and testing process to be gotten though and anyone can sign up to take the intro test, which is rowing. Pass that test and there’s 400 hours of classes that they’ve got to take, on navigation, rowing, Venetian history and culture, and French, English and Spanish. Then another test. Being a gondolier is a pretty lucrative gig — I’ve read that their salary averages about $150,000 a year — but it’s not easy to get in. The only woman to make it through the entire process got her license in 2010. And as far as I can tell, she’s still the only one. I enjoyed the gondola ride. No, riding the vaporetto (which we also did and that will get it’s own post) isn’t the same. 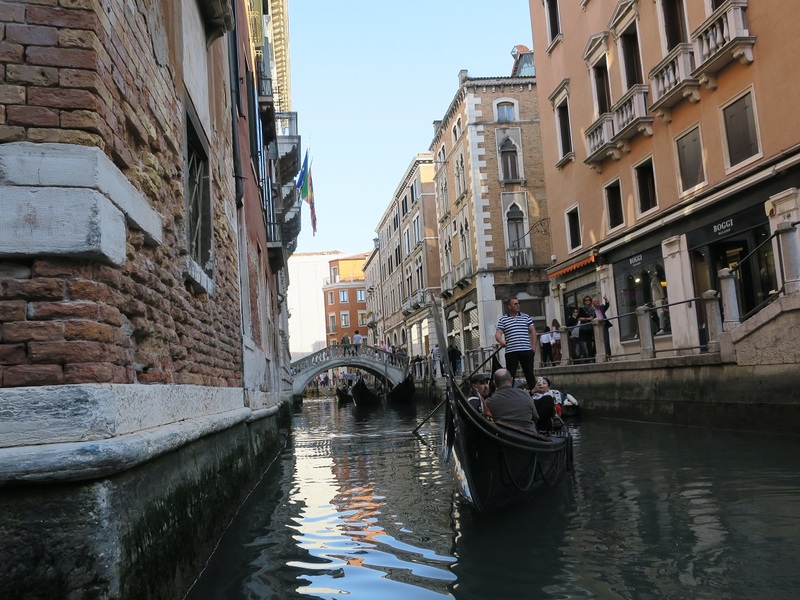 The gondola took us up and down some of Venice’s smaller canals and while they may not have been the cleanest or most picturesque parts of town, it was interesting to see them. So I recommend that the next time you’re in Venice, ignore the haters, embrace your inner tourist, and take a ride on a gondola. 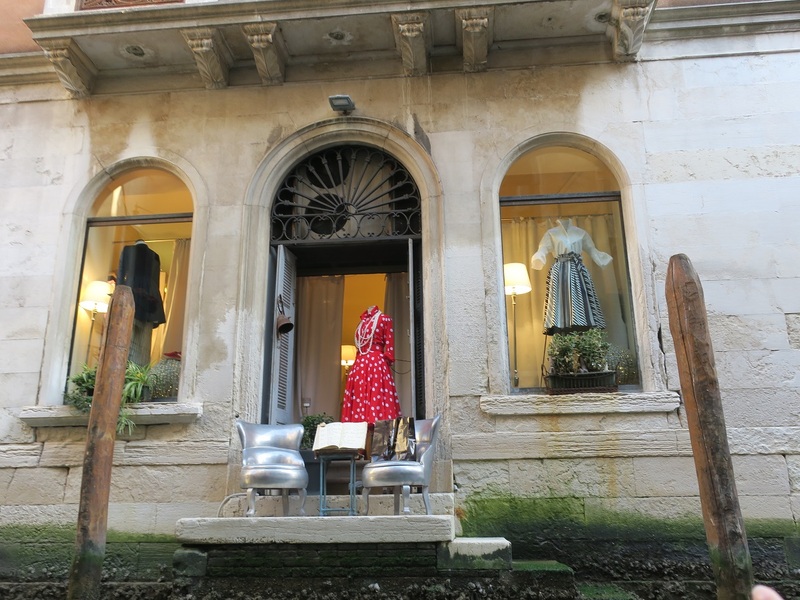 Gallery | This entry was posted in Italy Veneto and tagged gondola. Bookmark the permalink. I agree, it has to be done at least once. I enjoyed it much more than I expected. And it wasn’t as pricey as I remembered it being in the past. I understand that there are some various prices. More expensive to go on the Grand Canal than some of the minor back canals.